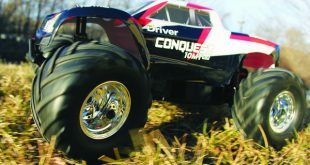 While the Q32 Baja Buggy has been out for a while, the new Q32 D8T Tessman Edition Truggy looks to increase the performance factor with bigger wheels and a wider stance. 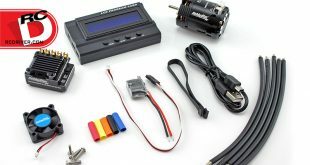 These micro machines can be used in any room bigger than a closet, so you never have to be without your RC fun again. 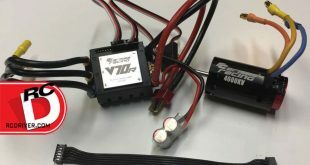 Reviewed – The Carisma V70 TypeR, 70A Sensored Brushless Speed Control with Turbo, 5350kV and 4600kV Brushless Motors. 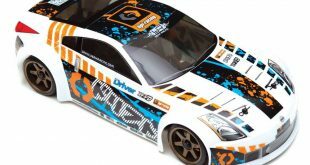 As we certainly expected, Team Associated announced an E-version of their highly anticipated RC8B3 Nitro buggy shortly after its release. Using over 90% of the parts from its Nitro cousin, the RC8B3e has all the same track manners, but with the explosive nature of electric components. 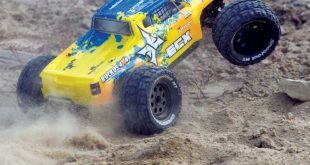 The RCs in the ECX line are all-inclusive, durable, fun RCs that are sure to get the first timer hooked. 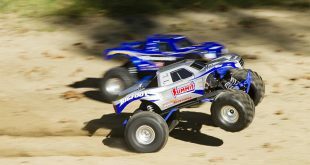 The two that I’m looking at here, the Circuit stadium truck and its big brother, the Ruckus monster truck, are both four wheel drive vehicles that come with brushless systems. 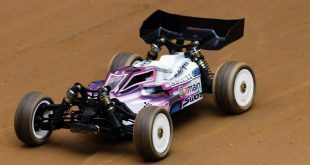 The Sprint 2 chassis from HPI Racing is a very capable car right out of the box. 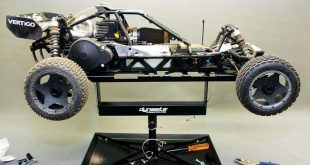 It is equipped with a belt driven 4WD drivetrain, oil-filled shocks, quality plastic composite parts and numerous tuning adjustments. 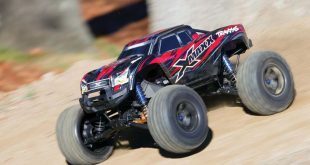 Recently, the editors and I were chatting about current vehicle offerings from manufacturers and Traxxas became the focus as we have not seen an all new vehicle from them in quite some time. We were speculating on what and when the next big release would occur. We all agreed and hoped it would be an entirely new vehicle and not simply an updated version of a current model since it has been a while that we have seen one. The cool side of a large scale vehicle is, of course, how large it is. 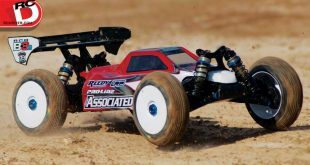 It demands attention from your RC friends and onlookers. Its big stance tears up the ground as you bash on the machine without a care in the world. There is certainly no shortage in ways to transport your gear from your workshop to the track. There are hauler bags all the way to simple plastic totes you pick up from the big box stores. 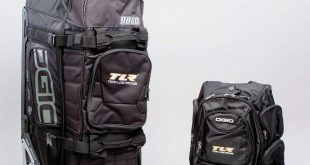 But if you are one of those racers who has to bring your gear to the track in the ultimate trendy transporter then you’ll want to check out the Team Losi Racing bags made in connection with OGIO. 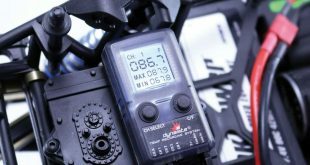 One of the biggest killers of RC components is heat. 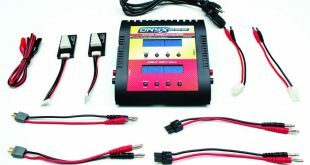 An overheating motor, ESC or battery can cause major failure or even result in your car catching on fire. I’ve seen both events hap- pen and, up until now, there’s not been an inexpensive way to monitor heat build-up in a vehicle. 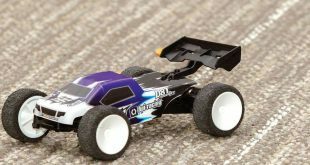 When it comes to delivering a variety of big fun on a small scale, Dromida has been dishing out the goods with their 4.18 series of vehicles in brushed and brushless motor form. 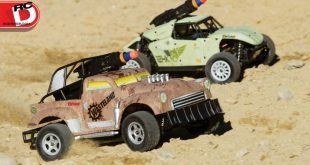 They have added to their offerings, this time with a twist; a pair of wild looking RC machines called Wasteland and their rugged looks are not the only thing that is attracting attention from RC funseekers.